Lee Lauderback, a falconer, had this red-tail hawk, “Mohawk,” for three years, before releasing her back to the wild. 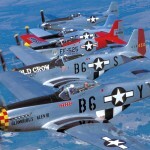 Lee Lauderback, the owner of Stallion 51, the world’s premier P-51 Mustang flight operation, says his father was responsible for his early fascination with aviation. 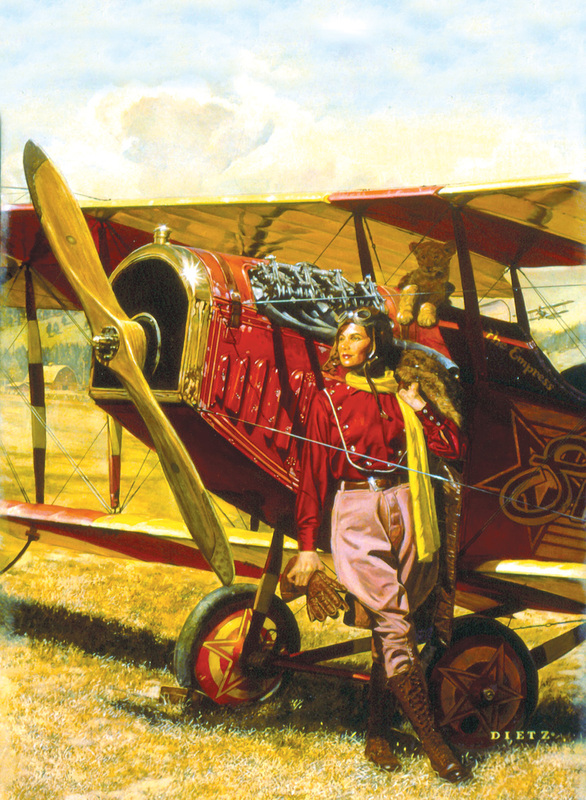 He also progressed to powered aircraft, soloing on his 16th birthday. 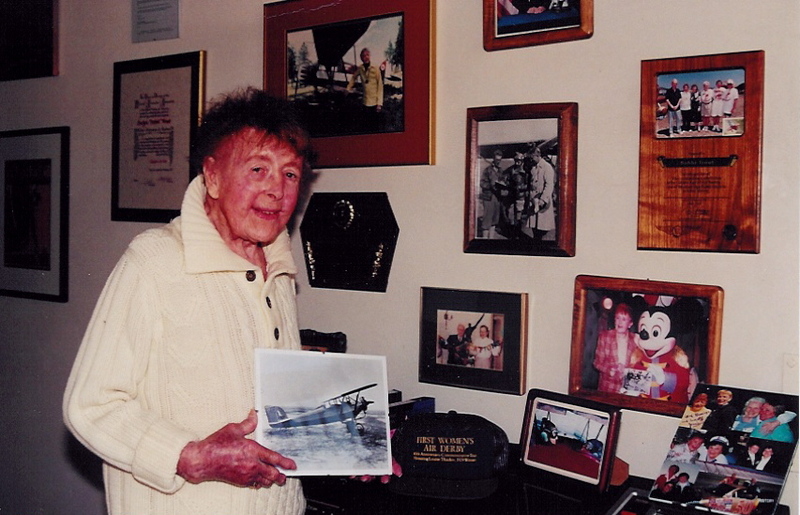 By then, his goal was to fly fighters in the military. “I didn’t have 20/20 vision, but I thought I’d figure out some way of working around that problem,” he said. He attended Louisiana State University on an athletic scholarship, majoring in aeronautical engineering. A member of Air Force ROTC, Lauderback took all the tests and scored high, but as he had fear, he couldn’t get around his vision problem. Lauderback didn’t enter the military. 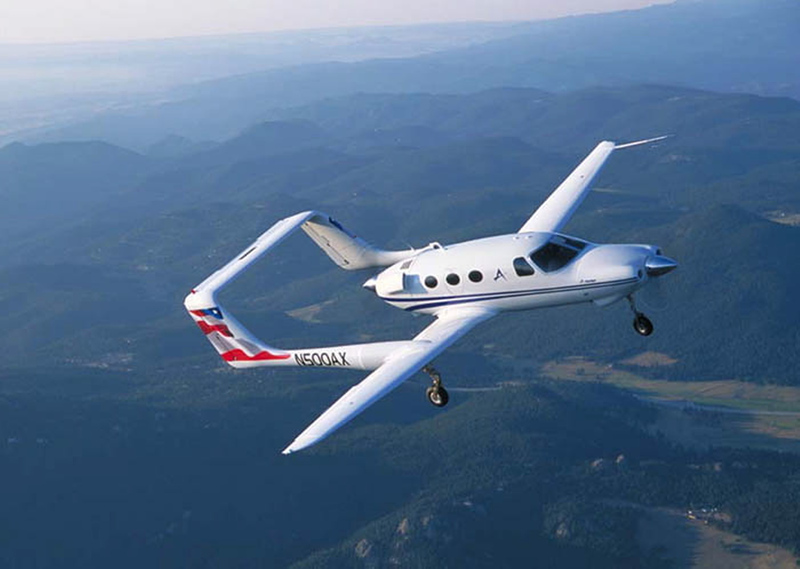 Instead, after graduating from college, he began flying corporate aircraft and did some charter work. In early 1973, the 23-year-old pilot was flying a Baron for Lease a Plane, based in Denver, when he met Charlie Johnson, the chief pilot for golfing legend Arnold Palmer, who was also a pilot. Johnson was looking for a copilot to take Palmer’s Lear 24 from Orlando Airport back to Latrobe, Penn. He said they did a lot of charter work at that time. Looking back, Lauderback said that men like Palmer and Johnson have been key to his life and the things he’s accomplished. In the mid-1970s, due to the demands of keeping up with Palmer, and family pressures, Johnson, married with two children, left Palmer’s employ to work for Gates Learjet as chief of production flight test. 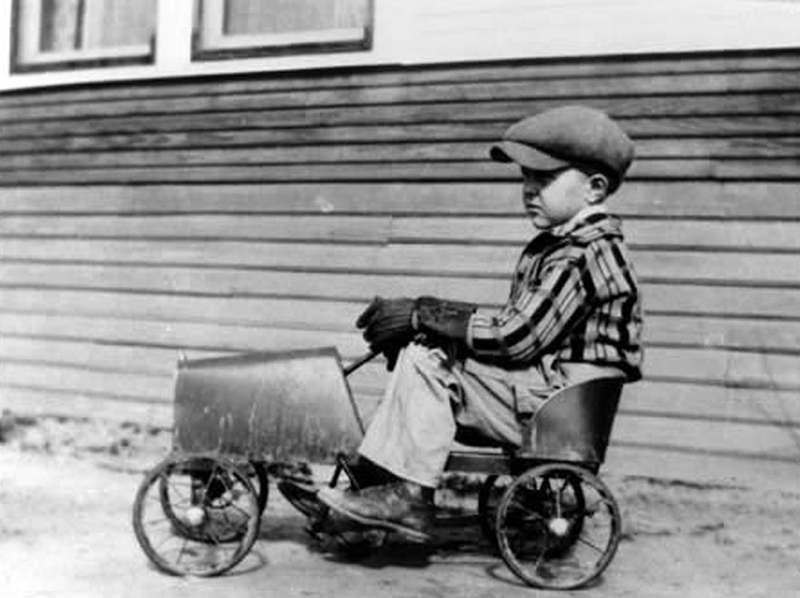 He would eventually serve as president and chief operating officer for Cessna Aircraft Company. Lauderback took over the position of chief pilot. Lauderback recalls days when his mentor was tough on him, but thanks Johnson for bringing him to a higher standard. 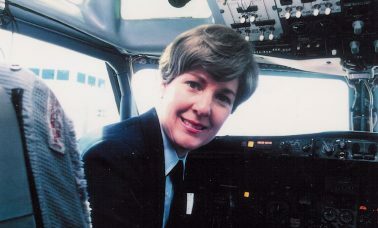 Lauderback worked fulltime for Palmer, whom he described as an “outstanding and natural” pilot, until 1990. After the Learjet, Palmer went from a Citation I to the II, III and then VII. Palmer, who bought an MD 500E in the mid-1980s, subsidized Lauderback’s helicopter training. After almost 17 years as Palmer’s chief pilot, Lauderback eventually made the decision to move on. Lauderback recalls telling Palmer he needed eight years off to raise his son. 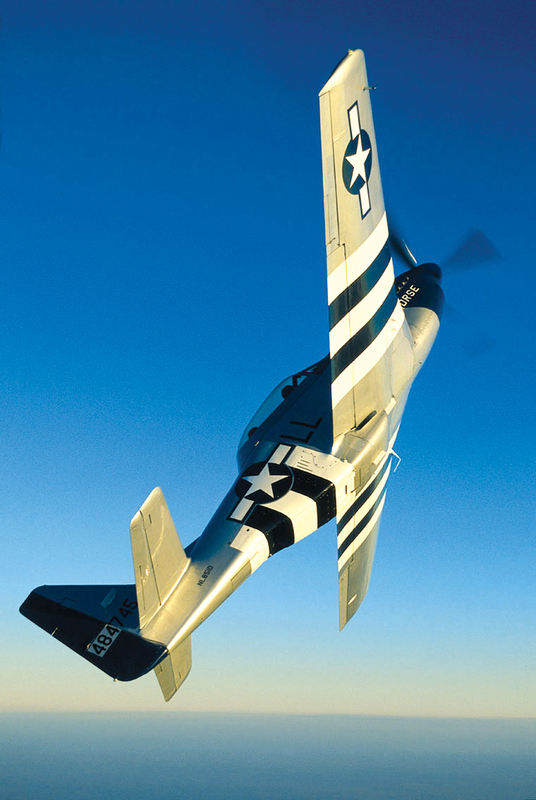 He traces his love for the P-51 Mustang back to the mid-seventies. “Crazy Horse” is a dual-cockpit/dual-control TF-51 Mustang utilized by Stallion 51 in several capacities, including orientation flights and checkout training. On several occasions, he tried to persuade Palmer to acquire a Mustang. Palmer agreed it would be a good investment. 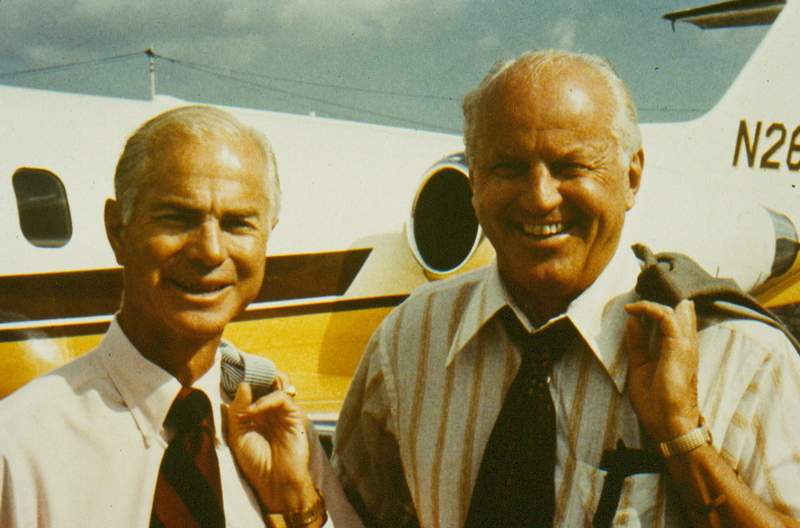 In 1987, Lauderback met Doug Schultz, “an aviation visionary” who was thinking about buying a dual-cockpit/dual-control TF-51 Mustang. Primarily, the first contract for the airplane was the Navy Test Pilot School. The Mustang ended up at Patuxent River in 1987, for military test pilot work for the students. In 1987, Lauderback sold his ASW20 sailplane and put that money into Stallion 51. At that time, he continued to work for Palmer, and flew the Mustang, when he had time. Stallion 51 began at Orlando Executive Airport and moved to Kissimmee Airport, where it is today, in 1992. About six years ago, Lauderback ended up buying Stallion 51 from Schultz. Tragically, Schultz died in a fatal incident about four years ago. “He was flying a MiG-21 for a military contract for the Canadians, and he had an in-flight breakup for some reason,” he said. Presently, Lauderback has one partner in Stallion 51, Tom Blair. “He started out as one of my management guys,” Lauderback said, adding that Blair owns a Mustang named “Slender, Tender and Tall,” a P-40 and a Spitfire. Stallion 51 utilizes “Crazy Horse,” the primary working aircraft, in several capacities, including orientation flights. 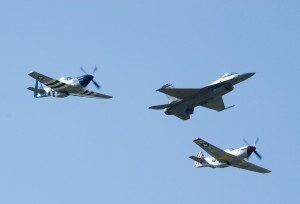 That aircraft is supplemented with two other immaculate Mustangs, “Mad Max” and “Diamondback.” All three are full dual cockpit /dual controlled TF-51 Mustangs. Stallion 51 also does most of the checkout training in the world for the Mustang. They’ve also secured a lot of military contracts over the years. 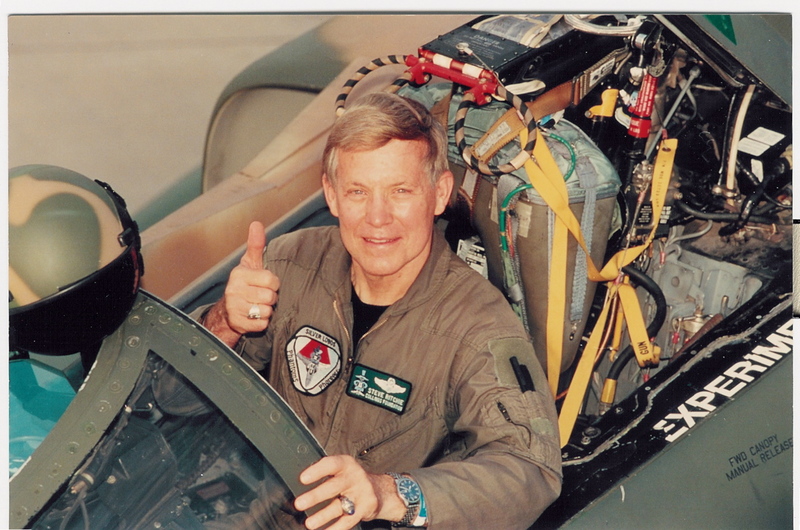 “The Navy Test Pilot School was a big thing,” Lauderback said. 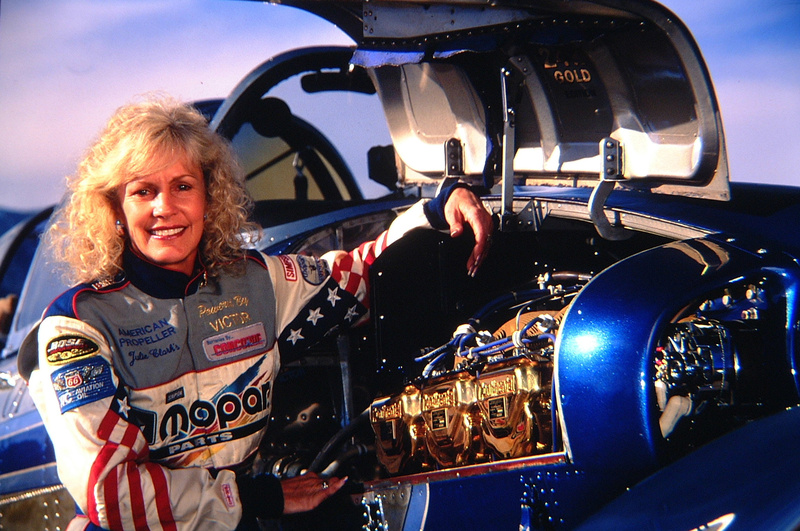 “Now, I’m deeply involved in the United States Air Force Heritage Program, where we present the old and the new. We’ll pair the P-51 Mustang with an F-15 Eagle and do fly-bys at air shows narrated to the history of the Air Force and of the aircraft. It allows people to see what has transpired in 60 years. The program is a recruiting effort. 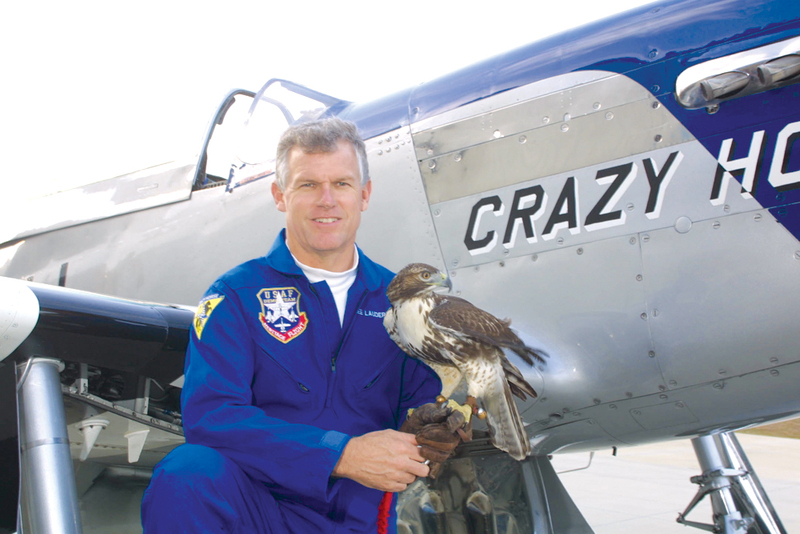 “It allows young kids to see the way the Air Force has progressed over the years,” he said. Lauderback also does a lot of “full-up aerobatic” flight demonstrations, both single and two-ship, around the country. “We did a formation aerobatic routine at Oshkosh this year, which went over really well,” he said. One of the other businesses is management. Every pilot who graduates has a specially-numbered patch. “They take a lot of pride in it,” said Lauderback. “They certainly earn it; it’s not a cake walk.” One of his most well-known graduates is Gen. Bill Anders. Lauderback also trained the astronaut’s son. “He’s an A-10 pilot,” he said. 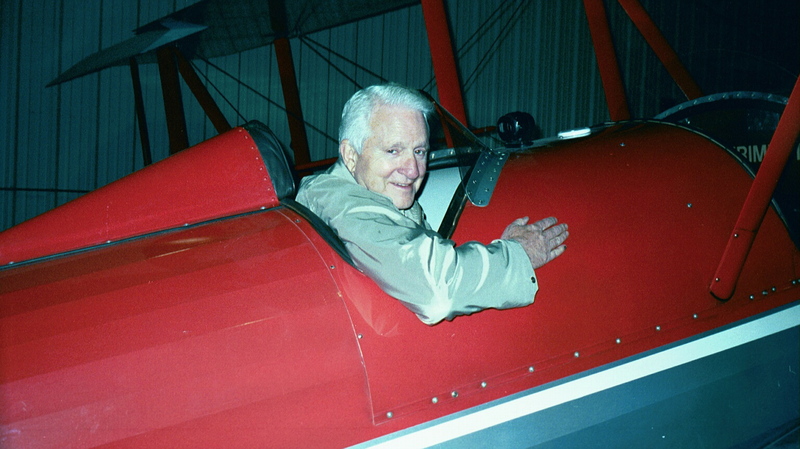 “I had a terrific time flying with both Bill and his son. I work with all kinds of different guys.” Unusual attitude is part of the training side. Lee Lauderback is deeply involved in the U.S. Air Force Heritage Program, which allows people to “see what has transpired in 60 years,” by pairing the old with the new. Lauderback said they’re building their third hangar to vastly expand that business into the corporate flight operation world. “We’ll be using some jet equipment in lieu of the Mustang,” he said. Stallion 51 presently runs some jet operations as well as some T-6 operations. Brad Lauderback soloed on his 16th birthday; like his father, he wanted to fly military aircraft. “The difference is he didn’t want to do the ‘educational side,'” Lauderback says with a grin. Lauderback said his son, who’s a commercial pilot with instructor rating, attended Embry-Riddle temporarily, but “decided to party more than study.” However, he later “reengaged in the education process,” and finished his second degree in December. “He’s up in Washington D.C., working for a company up there part-time,” he said. “He’s been virtually engaged fulltime in securing his degrees. He got one in psychology and decided to get a second in aeronautical science. With his education, he has the ability to try to get a Guard slot; that’s one of his desires. The other one is that he really enjoys business. I promote him getting experience in business. That’s what Arnold Palmer did for me in a lot of ways. He allowed me to see the way a business runs. I think it’s invaluable for a young person today. I’m advocating getting experience in business and then getting into the aviation side. At Stallion 51, Lauderback has worked closely with mainly three pilots, Eliot Cross, Robert J. “Zak” Tomczak and Dr William T. Busch. 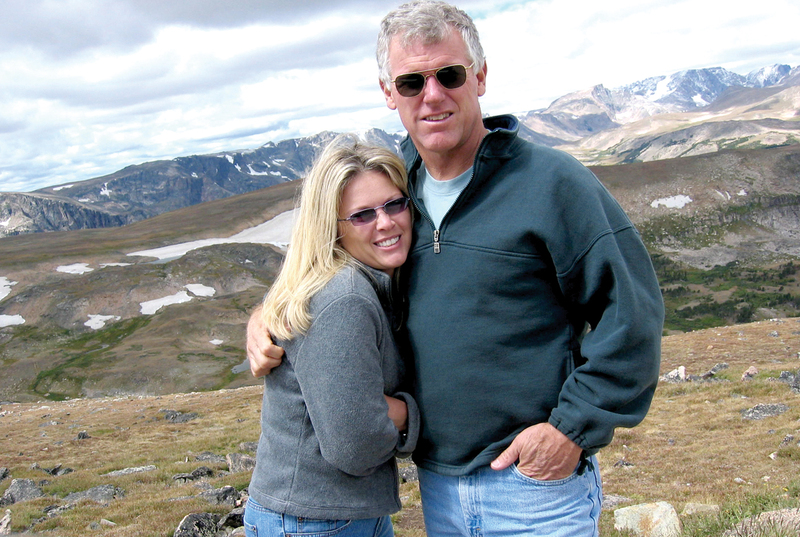 Lee Lauderback and his fiancée, Angela West, vacationing in Wyoming. At Stallion 51, West oversees special events/marketing. Another important team member is Angela West, who handles special events/marketing, and is also Lauderback’s fiancée. 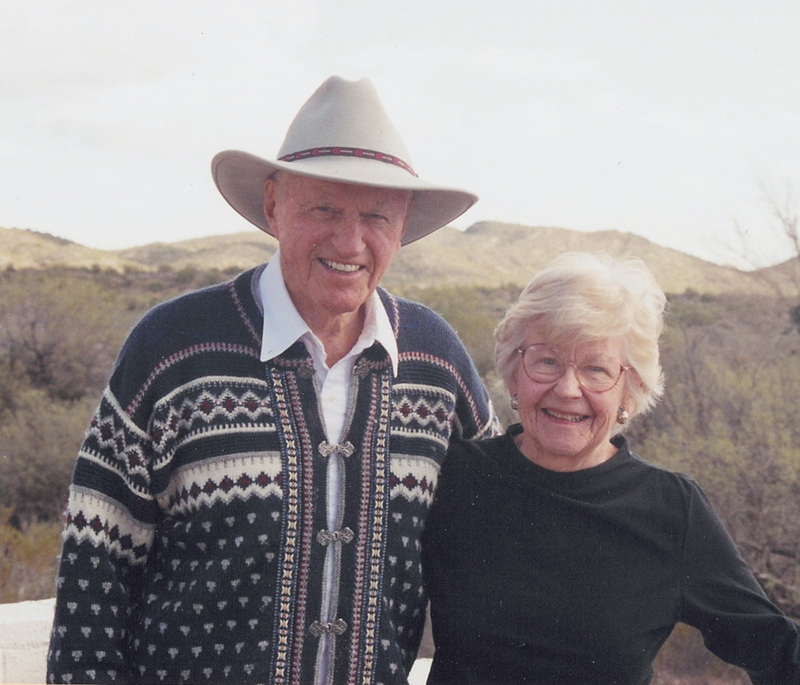 The two began working together in the fall of 1998, when West left Fantasy of Flight, where she served as corporate event manager, to coordinate the 1999 Gathering of Mustangs & Legends. At that time, the couple had been dating for about two and a half years. After the event, West became more and more involved in Stallion 51. These days, besides corporate/special events, she also oversees the merchandise shop. Where staff is concerned, Lauderback said they try not to get too top heavy. When talking about his own experience, Lauderback admits to having over 17,000 hours, and says he still flies the Mustang almost 500 hours a year and that every hour he gets to fly it is special. 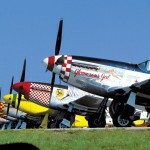 The Gathering of Mustangs & Legends, which took place at Kissimmee Municipal Airport, April 7-10, 1999, was the largest gathering of P-51 mustangs and pilots since World War II and the Korean conflict. The event was presented by the Mustang Operations and Preservation Society and hosted by Stallion 51. Twelve “Legends” attended the event. They were Gen. Bill Anders, Maj. Ken Dahlberg, Maj. Gen. C.A. “Bill” Pattillo, Col. C.E. “Bud” Anderson, Lt. Col. Bob Goebel, Lt. Gen. Charles “Buck” Pattillo, Lt. Col. Lee Archer, Robert A. “Bob” Hoover, Maj. Richard “Pete” Peterson, Col. Frank Borman, Brig. Gen. Robin Olds (Lauderback re-qualified him in the Mustang) and Brig. Gen. Chuck Yeager. “These guys are national treasures,” Lauderback said. He said they put together what was originally going to be a private gathering, but it became obvious that the public was going to be there if they wanted them or not. To try to have some control, they decided to charge “an unprecedented $25 a person.” Still, about 5,000 people showed up. He said when people hear “Mustangs,” they always think flying. The money collected for admission at the first event was donated to the Young Eagles program and the American Fighter Aces. The success of that event led to the planning of a second and final gathering for June 2006, at Reno Stead Airport. Unlike the last event, this one is planned as a “flying” event. Lauderback said he didn’t have much time for soaring while he worked for Palmer, and that didn’t change when he became involved in Stallion 51. 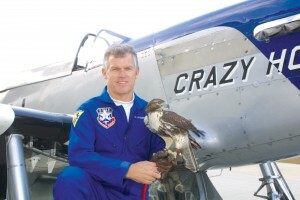 “The interesting part is that the Mustang has been such a fulltime task and so enjoyable that I’ve really not had time to miss the sailplanes,” he said. He laughs and says that whenever anyone asks him if he owns “Crazy Horse,” he sets them straight. “Our standard saying is, ‘Nobody owns “Crazy Horse.” It owns us,” he said. Still, Lauderback does plan on one day getting back to his first aviation love. Lauderback says he’s always been fascinated with “anything that flies.” “From rehabbing small birds, sparrows and starlings and things like that, and then into birds of prey,” he said. He explains that falconry is controlled from a federal and state level. Al Kordowski, one of the head animal trainers at Sea World and an avid falconer, became Lauderback’s sponsor. Then, Lauderback began doing work for the Center for Birds of Prey, an organization in Maitland, Fla., which is part of Audubon. Lauderback recently had one red-tail hawk, which he named “Mohawk,” for three years. Lauderback says if he goes outside, around the hangars, it’s not uncommon to run across one of “his birds” and have a chance to visit with it. Lauderback thoughtfully says pilots “think” they know a lot about aviation. The Gathering of Mustangs & Legends, which took place at Kissimmee Municipal Airport in April 1999, was the largest gathering of P-51 mustangs and pilots since World War II and the Korean conflict. 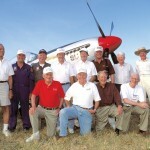 Twelve historic Mustang pilots attended the Gathering of Mustangs & Legends. A total of 64 Mustangs flew in for the Gathering of Mustangs & Legends.